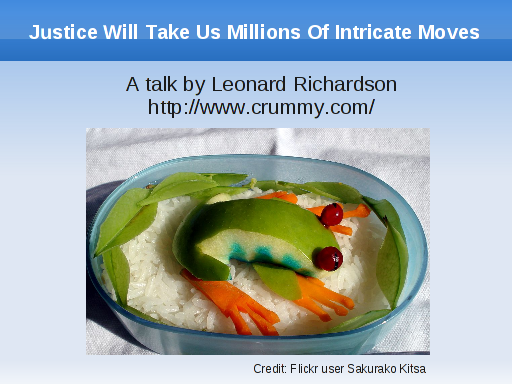 Slides and text as prepared for delivery November 20, 2008, at QCon. Act Two: You Can't Design Web Services In Here, This Is The War Room! Here are my credentials. 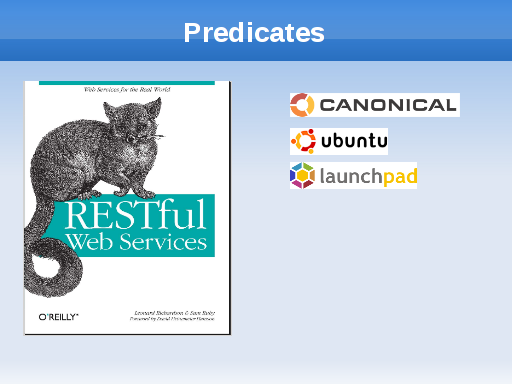 Most recently I'm the author with Sam Ruby of "RESTful Web Services". Right now I work for Canonical, makers of Ubuntu. Except I don't work on the Ubuntu distribution. 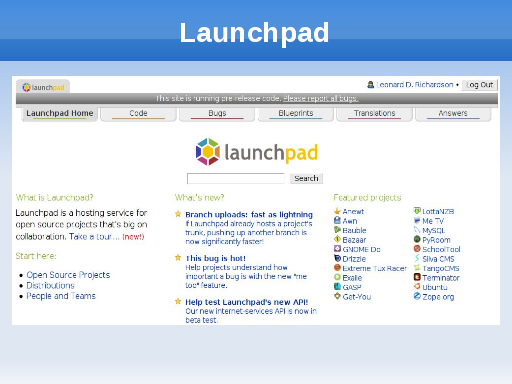 Canonical hosts a web site for doing open source software development, called Launchpad. My most recent project is a web service that gives you access to Launchpad's software development artifacts. This talk is a case study of the Launchpad web service, but I'm less interested in the technical details than in the process of getting it done, which required convincing my co-workers that the RESTful mindset was not some sort of New Age religion. To do this I argued primarily by analogy between web services and the World Wide Web. This talk is an in-depth look at this analogy. You and I have lived with the World Wide Web for over ten years. Often we take it for granted. My work on web services has forced the web technologies to the foreground of my vision. I've evaluated the web technologies as technologies, and I think a technology-based approach is the best way to explain the power of the RESTful constraints as applied to web services. It's also easier to explain to co-workers. This talk is structured like an episode of "This American Life". I'm going to tell several different stories surrounding the theme of the web technologies. Act one is history: what happened when the web was invented. Act two is practice: what happened when we designed the Launchpad web service. 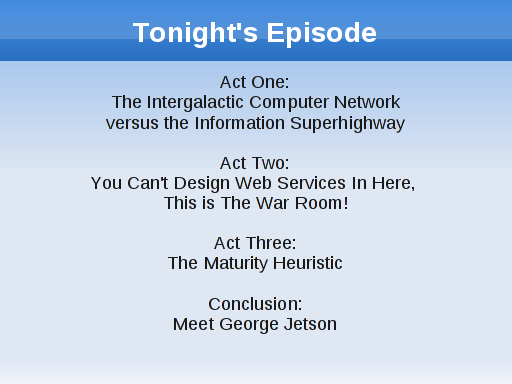 Act three is theory: what happens when you evaluate web services according to the web technologies. This document (source) is part of Crummy, the webspace of Leonard Richardson (contact information). It was last modified on Friday, January 16 2009, 00:21:01 Nowhere Standard Time and last built on Thursday, April 25 2019, 14:00:37 Nowhere Standard Time.